What’s it like to Holiday at Mellieha Bay Holiday Apartment? 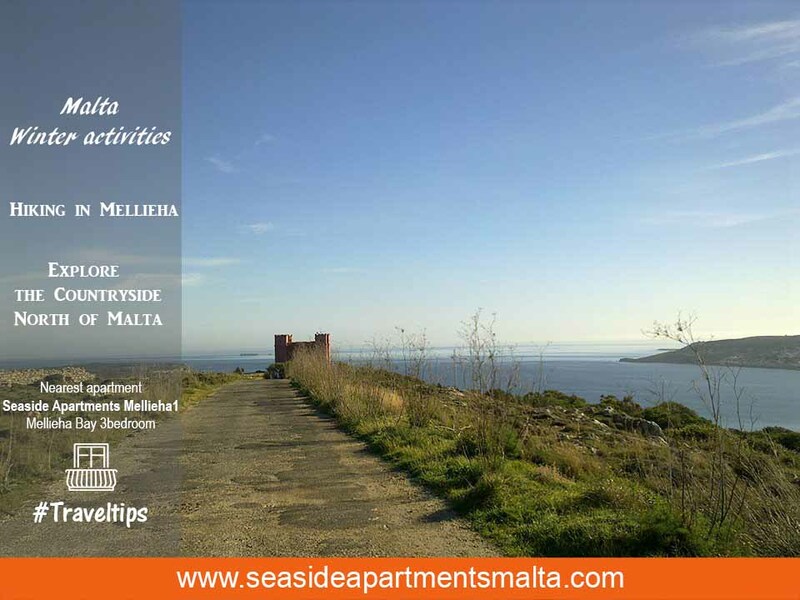 Situated near one of the most renowned beaches on the Maltese islands is undoubtedly the best selling point of this apartment. The beach spans over a 1km from one side to the other, it is the highlight of the northern part of Malta and the gem of Mellieha residents. It also enjoys sunshine all year round and with temperatures being some of the most attractive in Europe, holidaying here is a year round opportunity. 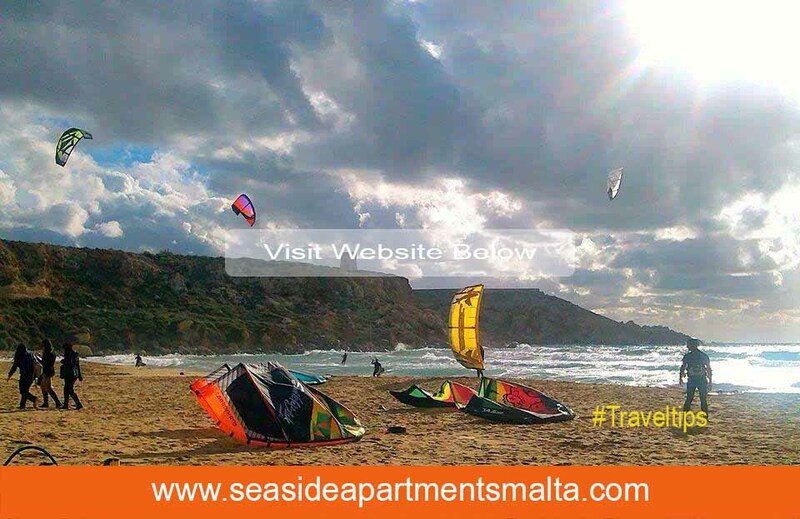 In a nutshell holidaying in Mellieha Bay is affordable, diverse and for all the family. Whether you are an outdoors lover, a diver, cyclist, a hiking fanatic or simply a pensioner looking for a leisurely stay away from freezing temperatures of winter, consider the place your next best bet. 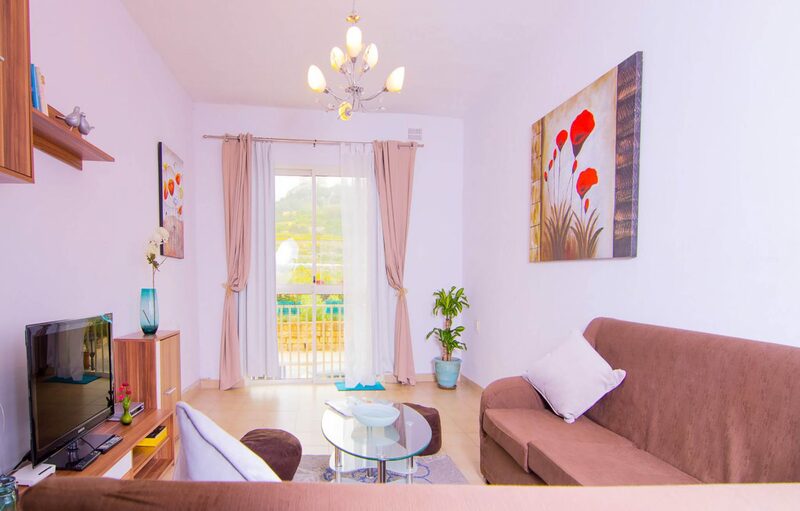 The 3 bedroom apartment offers you a fully equipped holiday Apartment in Mellieha Bay as well as plenty of room for your family members (it sleeps maximum 6). Prices are staggered to ensure it’s correctly priced according to the number of guests. Luckily you can holiday at Mellieha Bay and stay just 2 minutes walk from this stunning beach by opting for this 3 bedroom apartment Seaside Apartments Malta Mellieha 1. The area enjoys country side views as well as sea views from the perched hilltops. You will quickly find out that Mellieha is still not as heavily populated as other cities though the effect of urbanisation can be felt even in Mellieha nowadays. 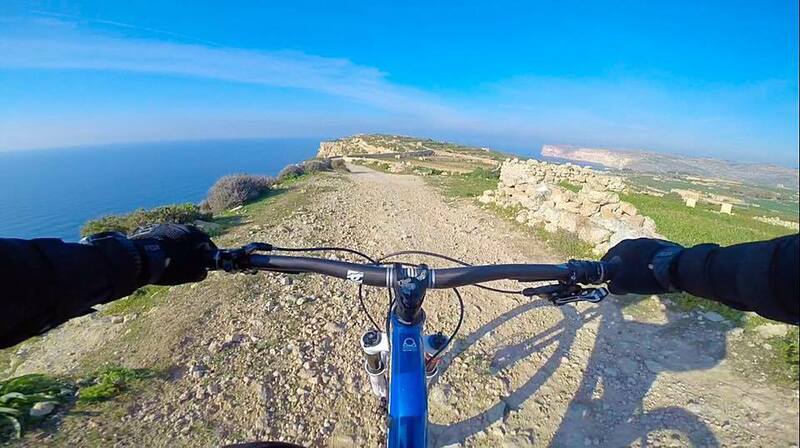 The area still enjoys stunning views of il-Mizieb, the woods just below Mellieha as well as inspiring views as you descend from Mellieha to Mellieha Bay. Locals also refer to this beach as Ghadira meaning pond. Winter is a fantastic time to be in Malta. Having temperatures about 15degrees warmer than anywhere else in Europe, Malta attracts travellers year round. Whenever the sun seems to be a distant memory, remember that Malta is just 2 hours away and you can book a flight easily via Skyscanner or Edreams and be on your way. The beach has a special charm in winter. No sunbeds and icecream vendors so you’ll get to enjoy the raw beauty of the region. If you’re cycling around Malta, stop here for a break and a sandwich and breathe in smell of open waters and Mediterranean ambience. With offers starting at just €70 in Winter, you can’t miss a winter break in Malta. Extended stays enjoy automatically discounted Rates when exceeding a week. Choose 3 different Rates to suit you.